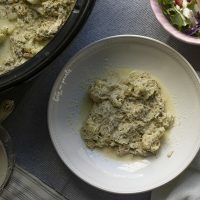 Keto Crock-pot Italian Crack Chicken is a savory twist on a favorite keto dinner. Italian dressing and Giardiniera elevate the classic keto recipe. Only 4 carbs per serving. Instant Pot instructions included. 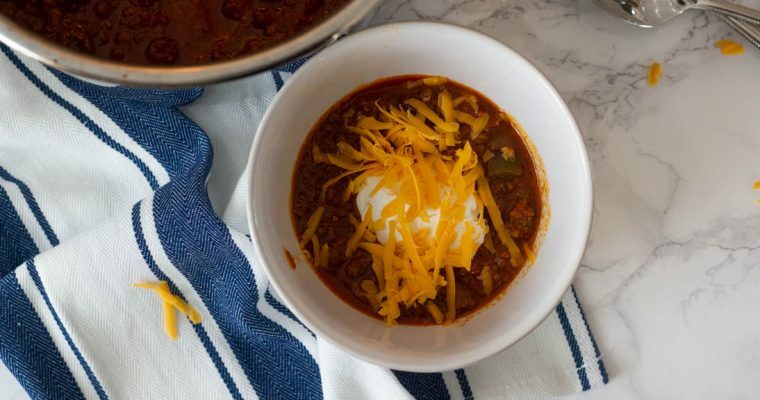 I recently polled my Instagram followers to see what kind of recipes they’d like to see from me this year and the number one answer was keto crock-pot meals! So, I’m holding myself to that and bringing you more keto crock-pot recipes. 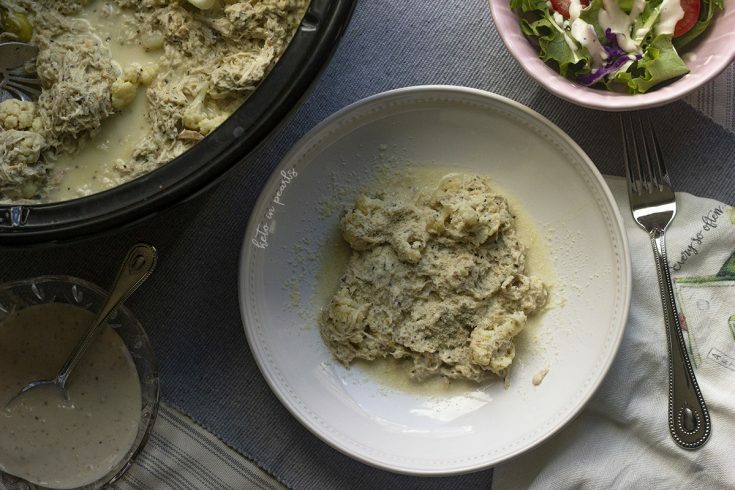 We’re starting with my Keto Crock-Pot Italian Crack Chicken. It’s been a year since I got my Instant Pot and in that year, my crock-pot has literally sat on top of my refrigerator collecting dust. I actually had to clean it off before using it.  I feel bad for the ole Crock-Pot in some ways. It’s the tried and true kitchen appliance that doesn’t get the recognition it deserves in this high-tech day and age. If you’ve ever had crack chicken, it’s just cream cheese, ranch mix, and cream cheese cooked with some chicken breasts. Easy peasy. And it’s definitely a favorite within the keto community. My family loves it as is but I wanted to put a little spin on the classic rendition. First, I omitted the ranch seasoning. I love the flavor of ranch mix but it’s a really “dirty” ingredient with maltodextrin and a host of other processed crap. I use it sparingly but I’m really trying to get away from it in new recipes. And yes, you can make your own ranch mix but I’ve yet to do so because some things are just not worth the trouble. 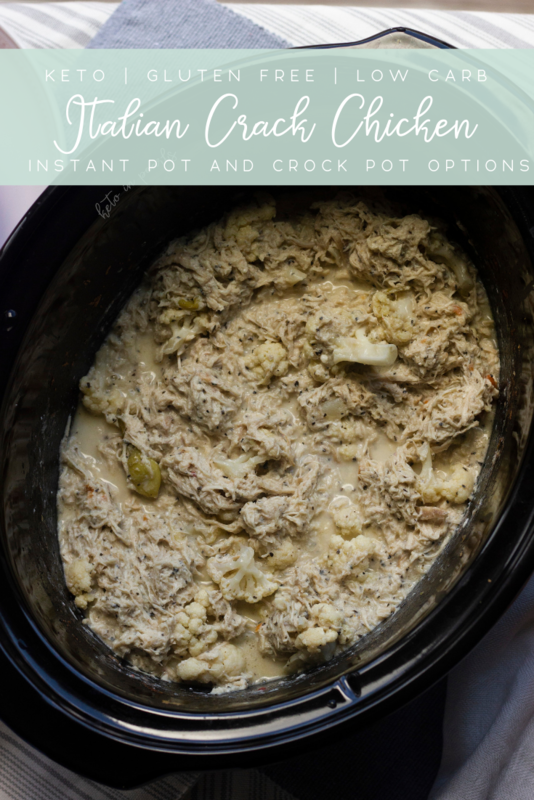 One reason I loved crack chicken was not only for its deliciousness, but it was simple to throw together in both the Crock-Pot and Instant Pot. 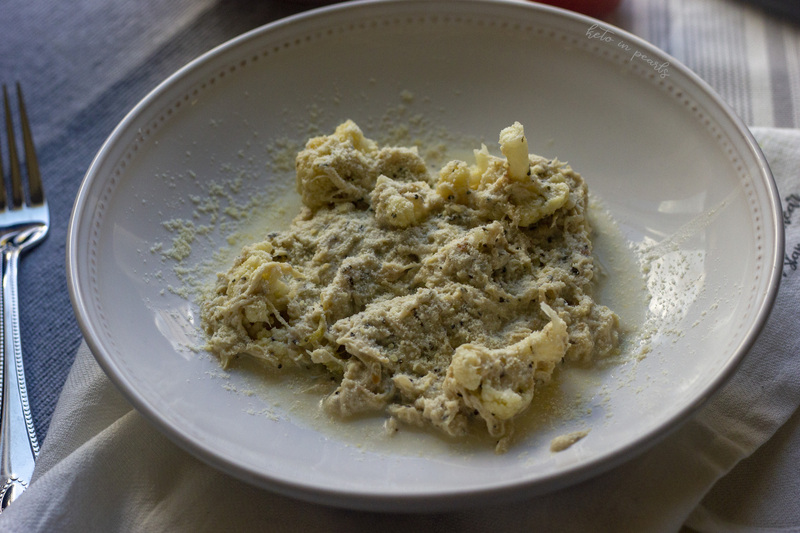 This Italian Crack Chicken is no different. Dump, set, and forget. 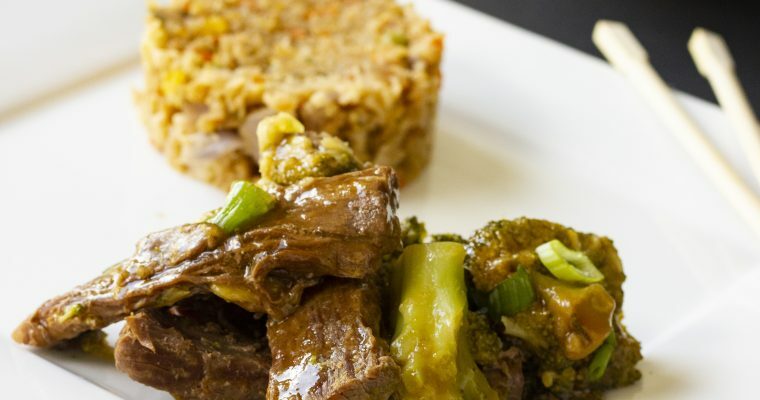 You can make this a complete meal by adding in some cauliflower florets too, as I did (that isn’t calculated in the macros though), or broccoli florets right at the end of cooking. And just one last tip: when you’re shopping for Italian dressing, go for the minimal ingredients and lowest sugar count. I typically use ones that are in the refrigerated area of the store (refrigeration means they don’t keep as long because of no preservatives) or I use the Newman’s Own brand because it’s a good company that gives back to those less fortunate. Just remember to read your labels! Add the broth, Giardiniera mix and juice, and dressing to the pot. Whisk together to combine. Place the chicken breasts in the pot. Sprinkle the garlic, salt, oregano, and basil on top. Place the butter on top of the chicken. Cook on high for 3 hours or low for 5 hours. When the time is up, shred the chicken with two forks and toss in the juices. Reduce the temperature to warm and add the cheeses. Let it sit until all the cheese is melted, about 30 minutes. Stir to combine. If adding cauliflower, do so at this time also. If using the Instant Pot, follow steps 1 and 2. Cook on HIGH pressure for 20 minutes. Quick release the steam. After removing the lid, shred the chicken with two forks, add the cheeses, and let rest until all is melted. Stir to combine. 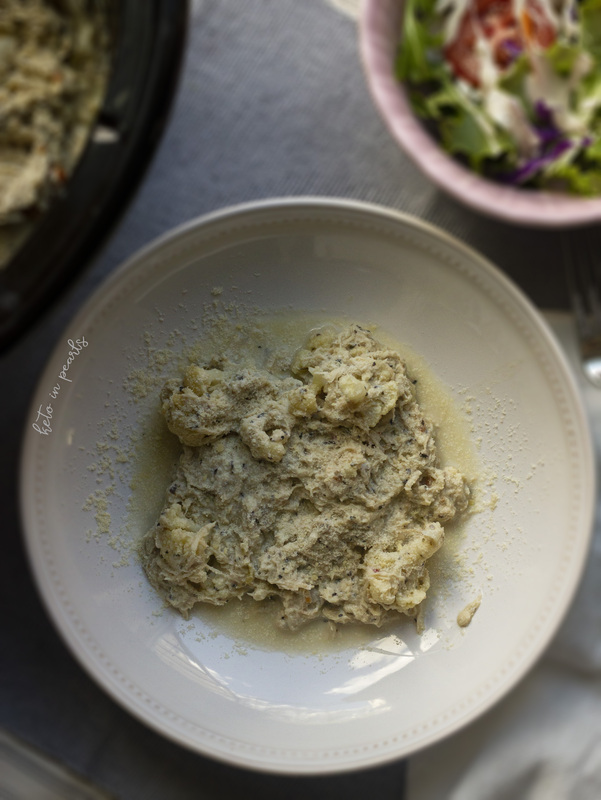 Serve with grated parmesan cheese, if desired.